Carl Jennings was born in Equality, Illinois. He earned his B.A. and Ph.D. degrees in Chemistry from Southern Illinois University in 1967 and 1971. After a Post Doctoral Fellowship at The University of Illinois in Champaign-Urbana, Dr. Jennings joined the GAF Corporation in Binghamton, NY, where he held various research and manufacturing positions. He joined BASF Corporation in 1977 as Assistant to the Vice President, Chemicals, in Wyandotte, MI, where he became Plant Manager, Development Chemicals, one year later. In 1980 he was transferred to BASF's site in Geismar, LA as Plant Manager, Agricultural Chemicals. After a short assignment in Germany in 1985, Dr. Jennings was appointed Director of Manufacturing and Technology, Agricultural Chemicals, and moved to BASF's former headquarters in Parsippany, NJ. Two years later he became Group Vice President, Agricultural Chemicals, and in 1989 relocated the Agricultural Chemicals business to Raleigh, NC. In 1991 he returned to New Jersey to serve as Group Vice President, Colorants, in BASF's Coatings and Colorants Division and in 1992 was promoted to Executive Vice President of BASF Corporation and President of its Chemicals Division in Mount Olive, NJ. Dr. Jennings is a member of the American Chemical Society, American Institute of Chemical Engineers, Chemical Manufacturers Association, and the Society of Chemical Industry. He is a member of the Boards of Trustees of St. Elizabeth's College (Morristown, NJ), the Independent College Fund of New Jersey, and the Southern Illinois University Foundation. 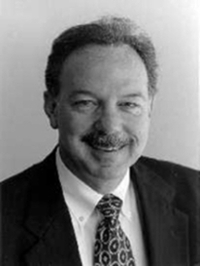 In 1997 Dr. Jennings received the Alumni Achievement Award from Southern Illinois University.